This has to be one of my thriftiest makes ever. 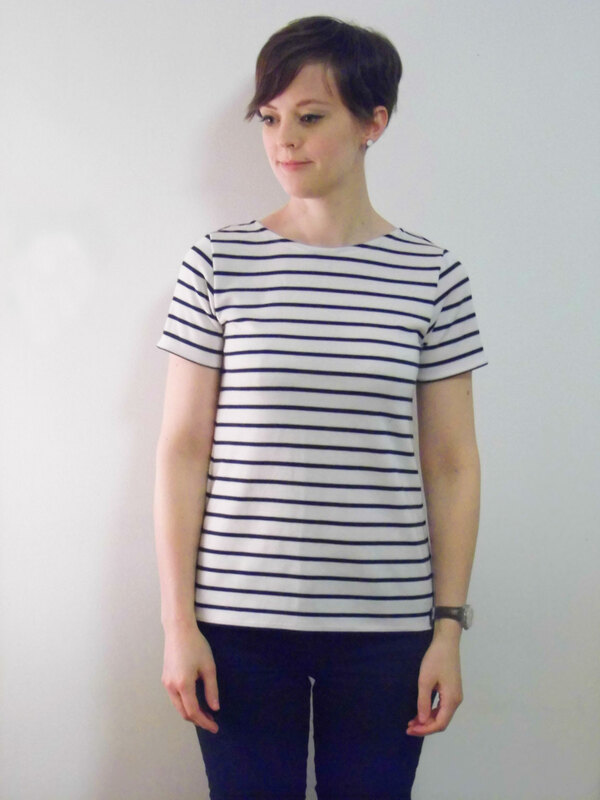 It’s the Deer and Doe Plantain Tee, which is a free to download. 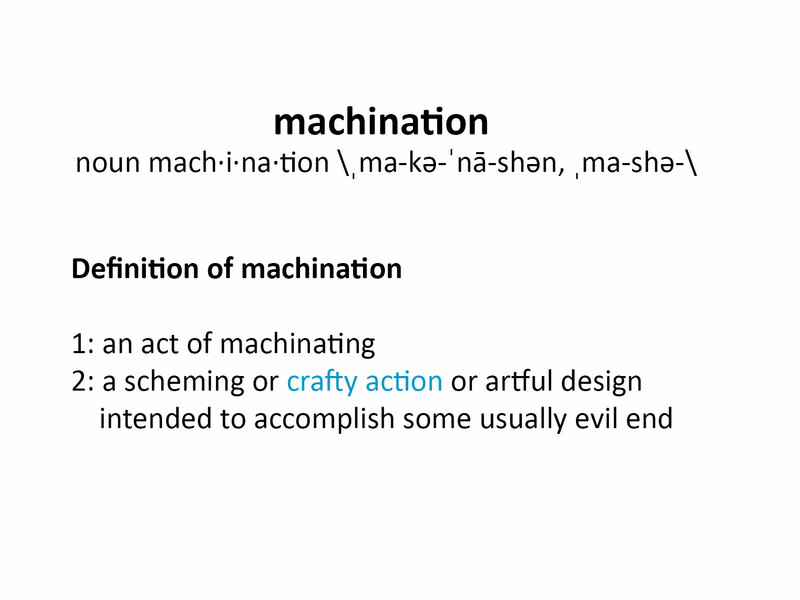 I downloaded and assembled the PDF quite a while ago but only just got around to making something from it. I had this little bit of stripey fabric in my stash for a few months – it was only £1.50 and was from Rolls and Rems (where else!). 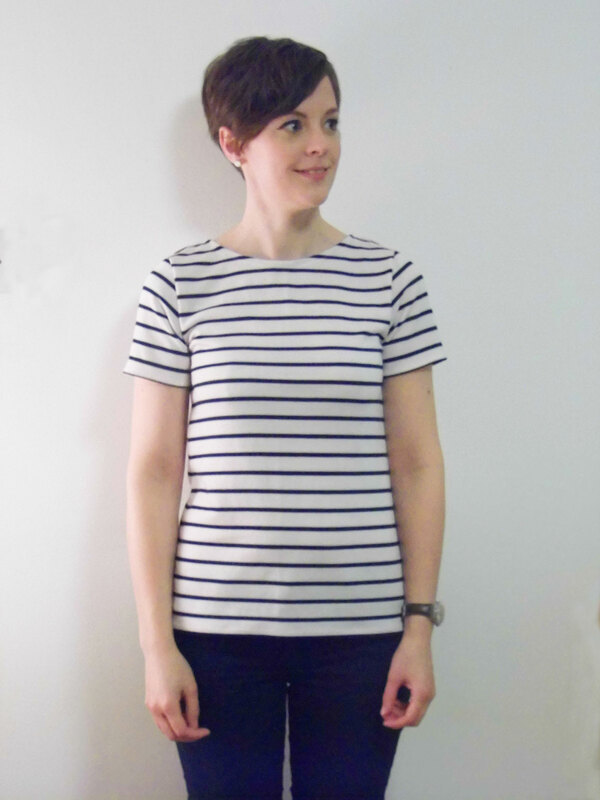 There was juuuust enough fabric to make this tee and I love it! The stripes are actually navy blue, though they look black in the photos. 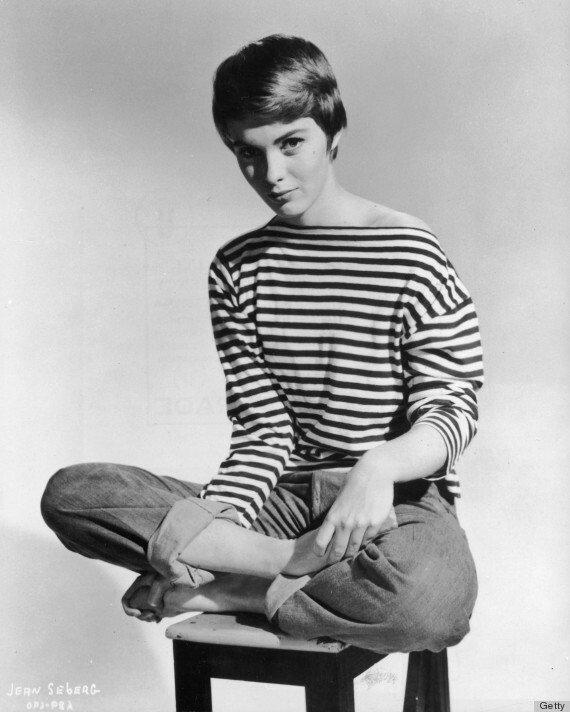 With my new haircut (which I LOVE, LOVE, LOVE), and in this tee shirt, I definitely feel like I’m channeling Jean Seberg! 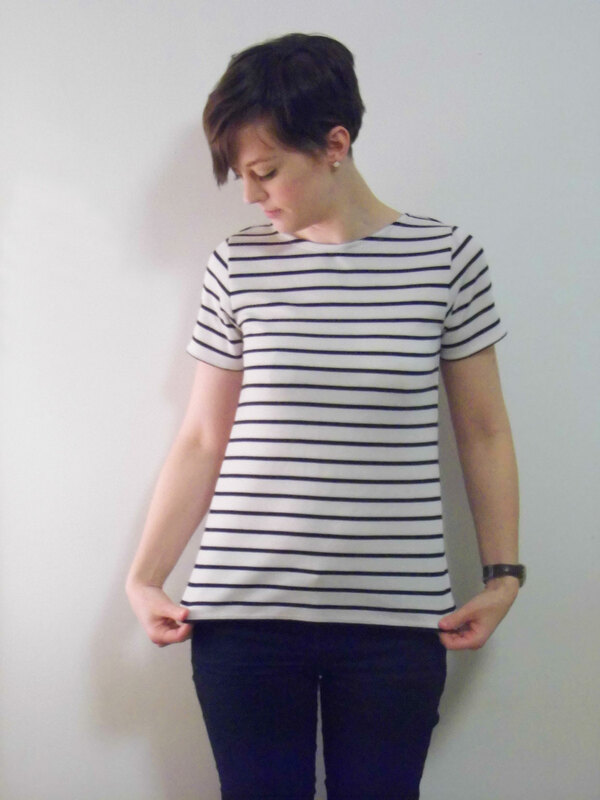 I made this tee in the size 36 and changed the neckline. 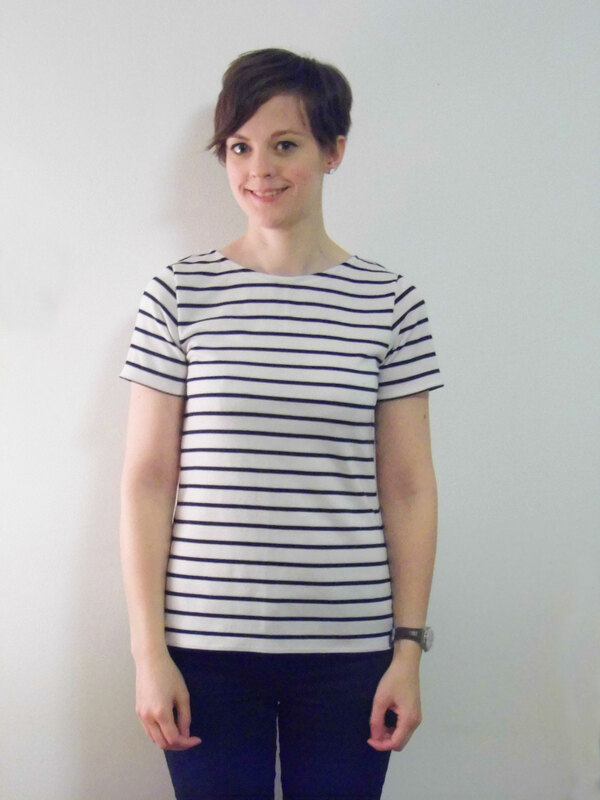 The classic Breton Tee has quite a high neckline (probably a boat neckline would be best), but the Plantain has quite a low scoop-neck. I raised it to just below the back neckline. 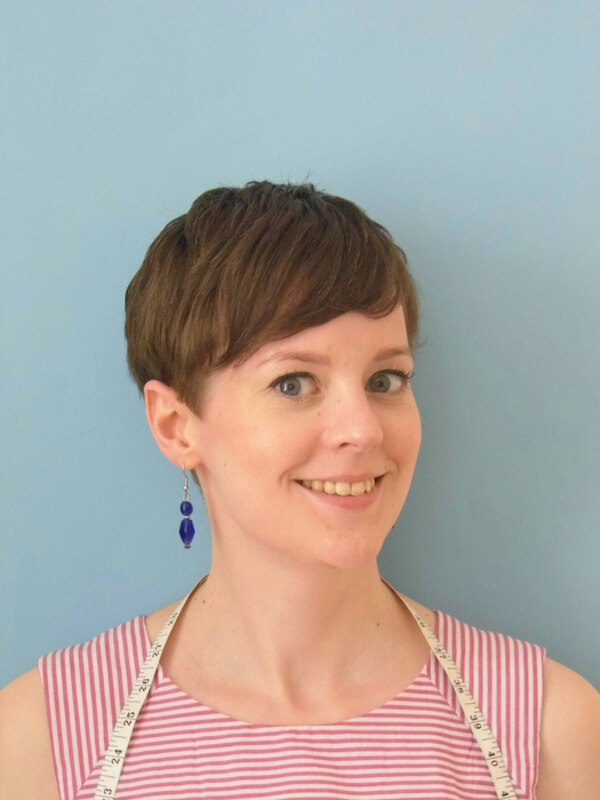 I also didn’t bother with the neck band, partly because I would have had to work out a new length for it, and partly because I wasn’t entirely sure from the instructions how I should attach it! So I just turned the neckline under by 1.5cm and stitched it with my twin needle. The sleeves are 3.3cm longer than the short sleeve length. 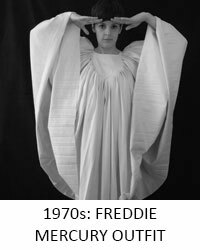 I would have made longer, 3/4 length sleeves, but I didn’t have enough fabric – there was literally just enough to cut the front and back, then squeeze the sleeves from single layers left over after the other bits were cut out. I hemmed the sleeves with the twin needle too, turning under a tiny amount so as to preserve what length I had managed to eek out. 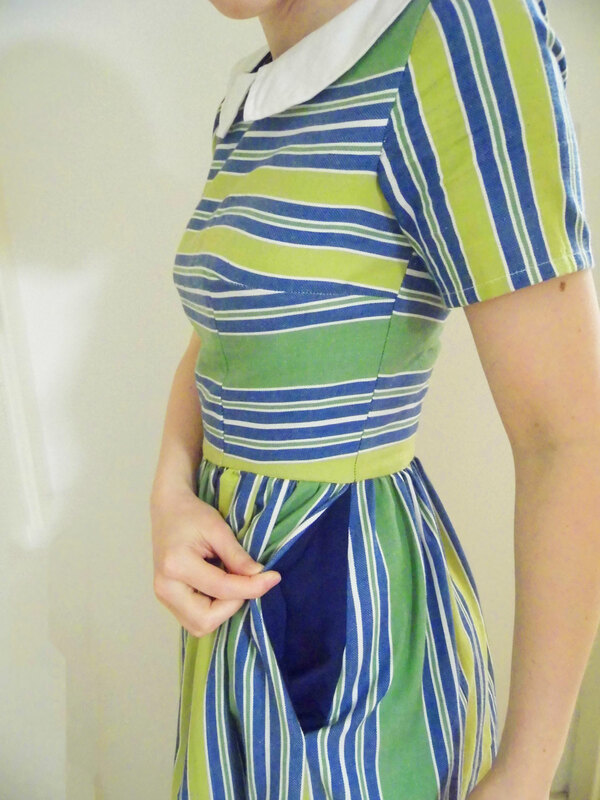 I think the original hem is a little curved, but I straightened the bottom, using the stripes as a guide. 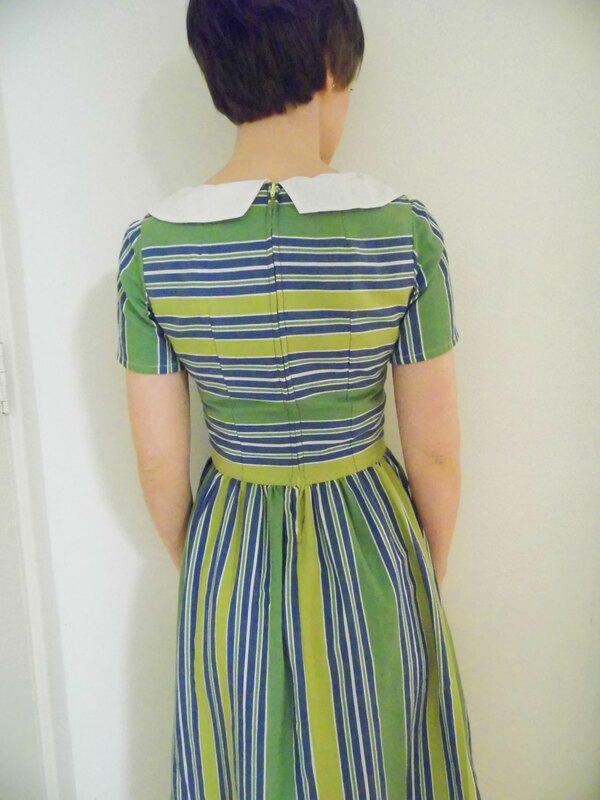 Then I turned up one white stripe and stitched the hem with the twin needle. I think I’m starting to get the hang of sewing with knits. 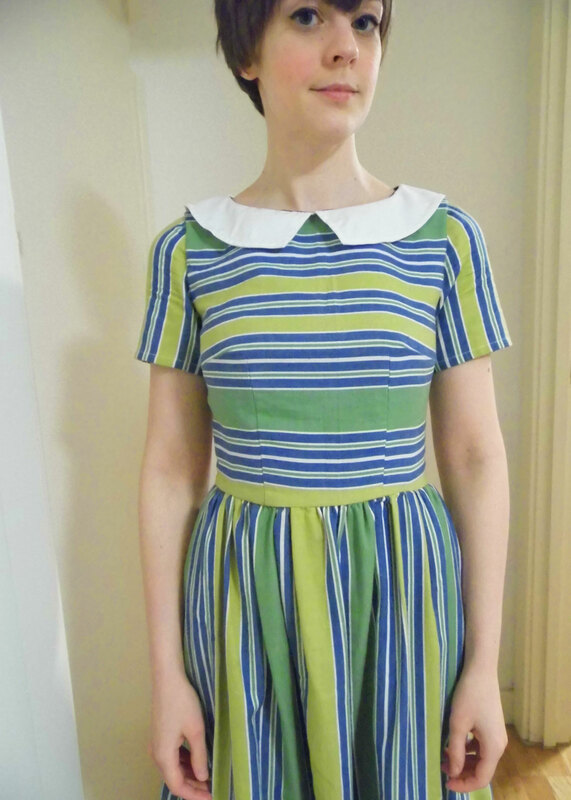 I matched the stripes on the side seams (but then, of course, forgot to take any photos) and I quite enjoy the professional look a twin needle gives to the hems. This is the thickest and most stable knit I’ve sewn with so far, and I like the fact that this is quite thick. 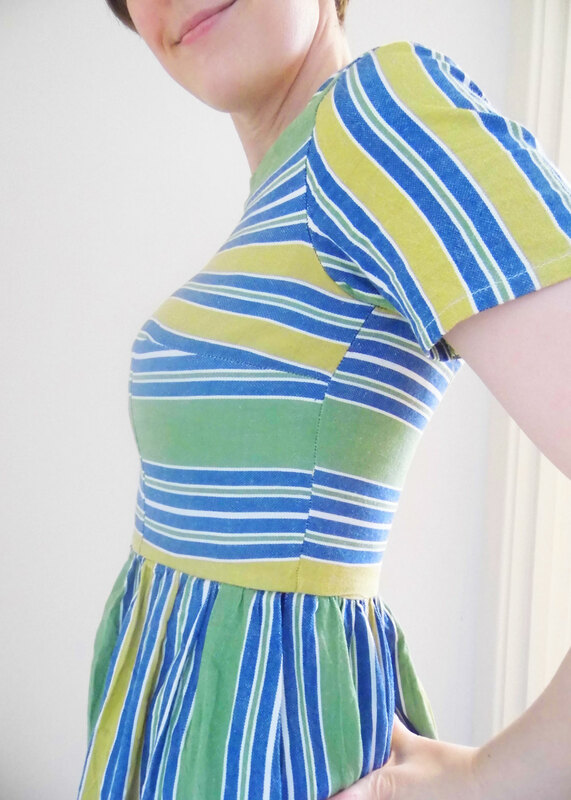 I think I need a bit of a tweak in the armpit area to get it to sit better – I’ve had this before with other patterns, so I wonder if I have something that makes me atypical in the armpit/ sleeve area – I’ll try to make some changes if I make this pattern again, which I suspect I will. Any ideas what the issue is and how I can fix it? I think an armscye that extends lower than the pattern originally does. 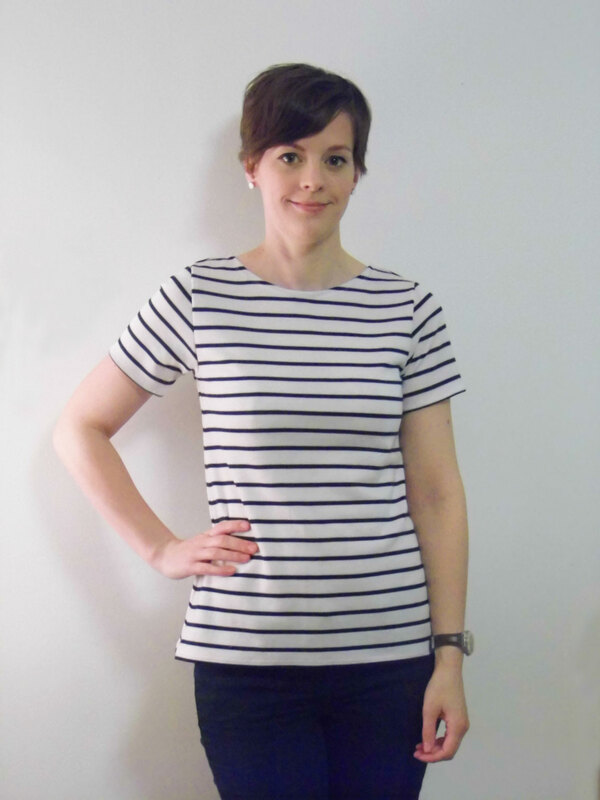 I’m trying to make more basics for my wardrobe, so I think there’ll be more and more t-shirts and basic things like that coming up on the blog! Also skinny jeans hopefully! 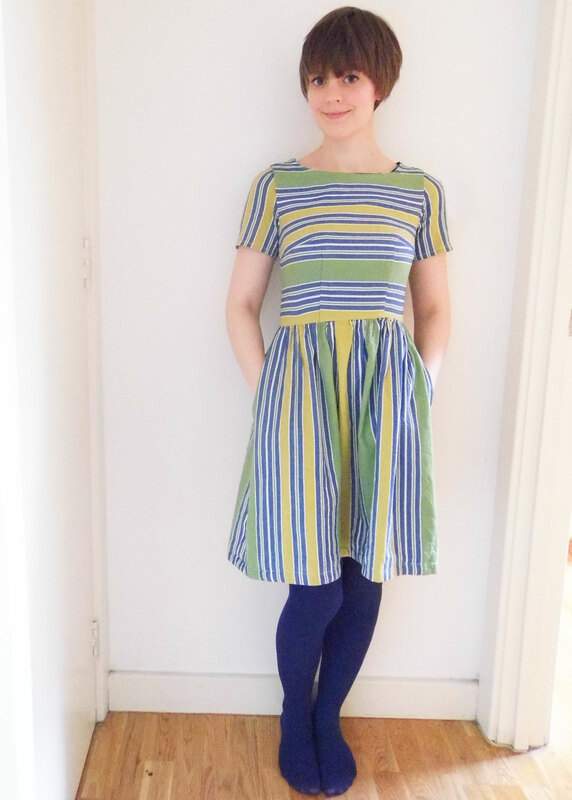 As you know if you’ve been reading this blog for a while, I’m not very good at joining in with sew-alongs or sewing challenges – I tried to do the Emery Dress sew-along but finished about a month (or more) late! I did join in with the Yellow Skirt gang and only finished that in time because the deadline was extended. 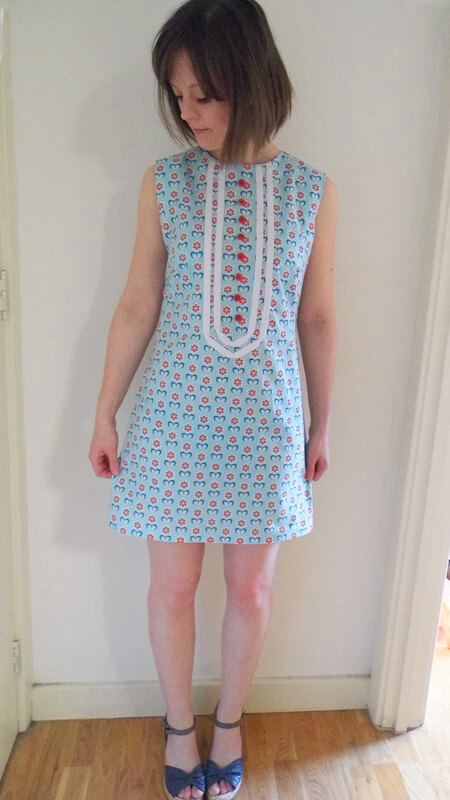 So it will come as no surprise to learn that I didn’t finish my Spring For Cotton dress on time! 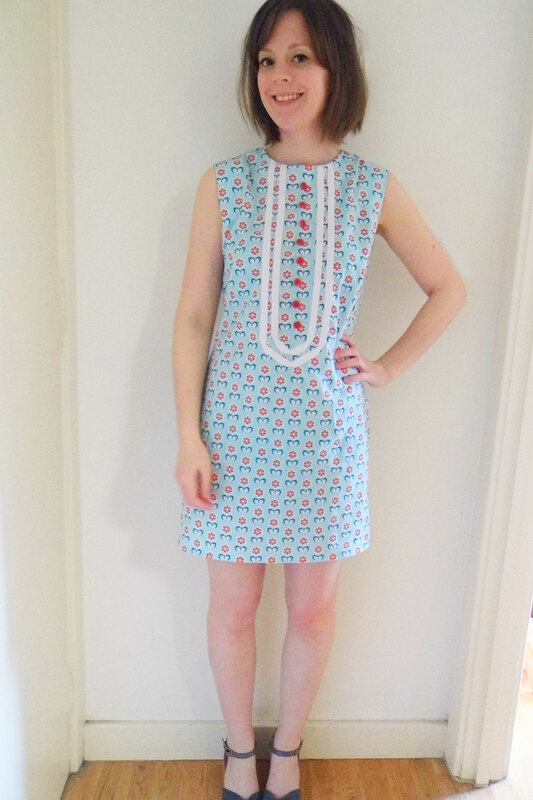 If you haven’t heard of Spring For Cotton, it’s a challenge run by Lucky Lucille where you have to sew a pattern that is either vintage or inspired by vintage style, entirely in cotton. The video of everyone’s finished makes got published yesterday – so I really was too late! You can see the full parade here. I finally decided on the second one, and decided to make view D, on the far right. I wasn’t sure I liked it when I was making it, until it was completely finished. 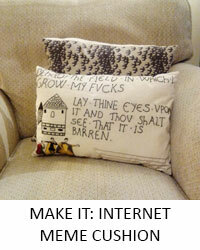 I loved the fabric when I first saw it in Rolls and Rems. But as I was making the dress, I was worried it would look a bit costumey. 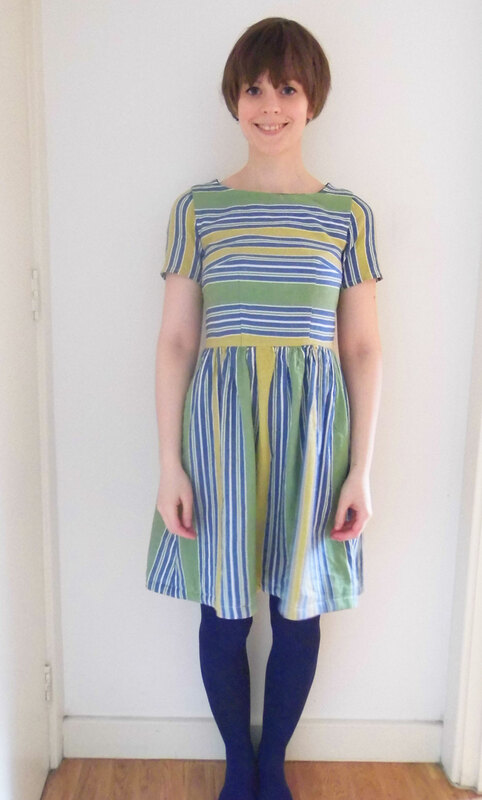 It also looked like an ugly overall for quite a while, but taking up the hem definitely helped reduce the frump factor. 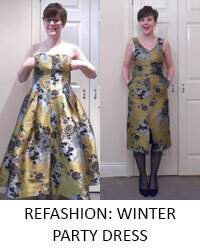 I had already removed 16cm from the hem when I cut it out as it would have reached to my calves almost! 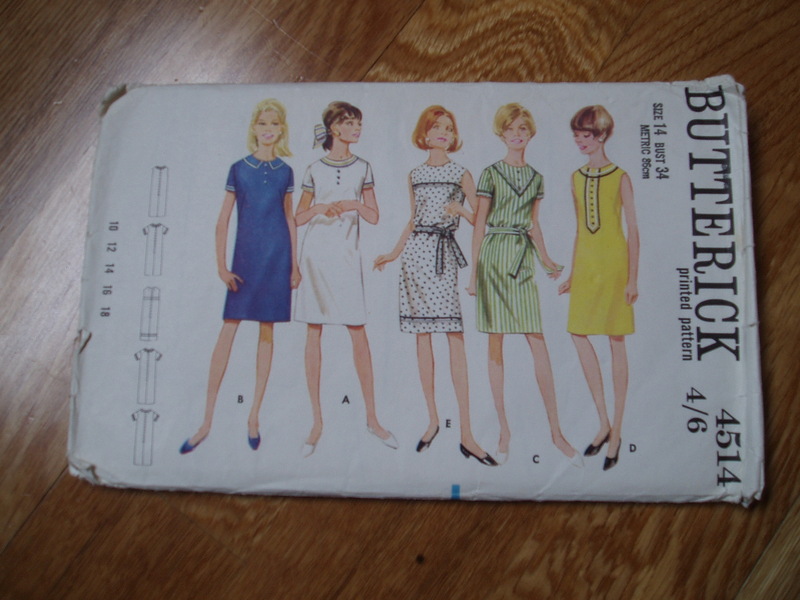 Little tip: when making a cut vintage pattern – check the pattern pieces for any alterations the previous owner (my Grandma) made to the pattern pieces! I carefully cut out my pattern pieces – the back had already been used but the front piece hadn’t ( there are different front pieces for each of the views for the trim markings). My Grandma had already shortened the back piece, by about 16cm, so then when I removed another 16cm, it didn’t even cover my bum. 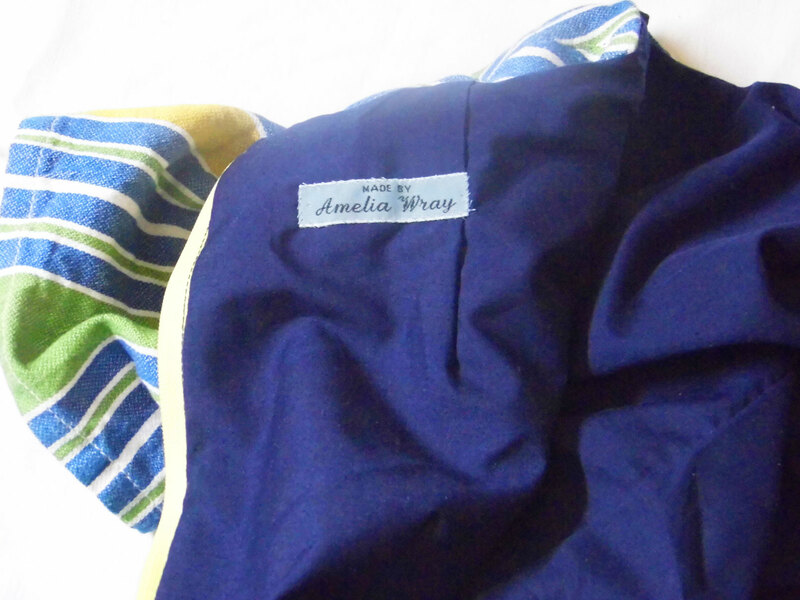 So I re-cut the back piece – luckily I had just about enough fabric. 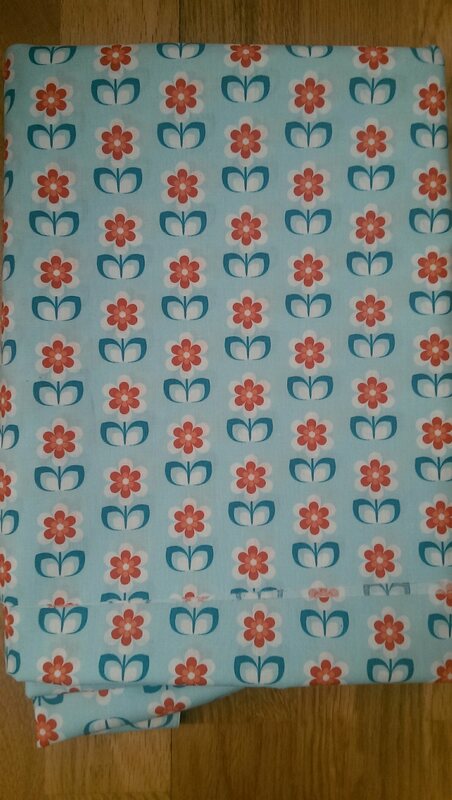 I made no attempt at pattern matching, also because I initially stupidly had the front piece laid out upside down, so the flowers would have faced down on the front and up on the back. So the cutting stage was not my finest hour! 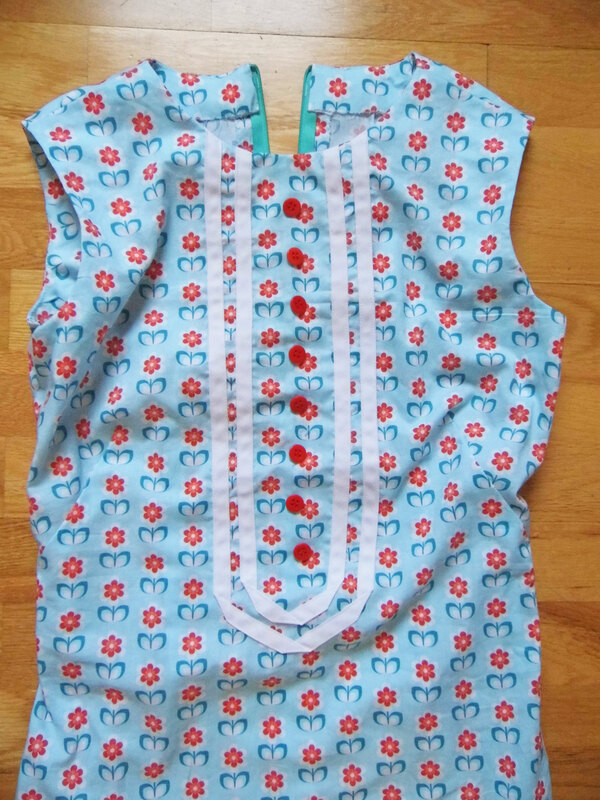 I do wish I had properly centered the flowers on the front of the dress, so that the trim lined up. I used some bias tape , folded in half for the white trim and bought some buttons to match the darker coral shade on the flowers. It was the trim that made me feel like it would look a bit costumey, but I actually like it, now the dress is finished. I did make a couple of fitting adjustments as I went along – I knew the dress would be too big as the pattern is a size larger than my size. 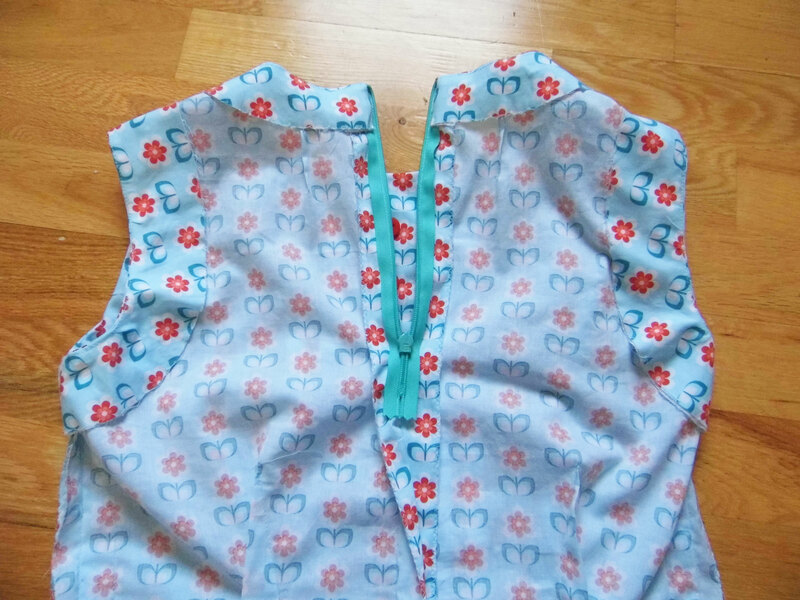 I added 2 darts to the back, which are 3 inches from the centre seam and are 1 inch deep at the waist. Looking at the picture below, I should have ironed the darts as they look a bit crap. I made the effort not to over-fit the dress as it’s not meant to be figure-hugging. 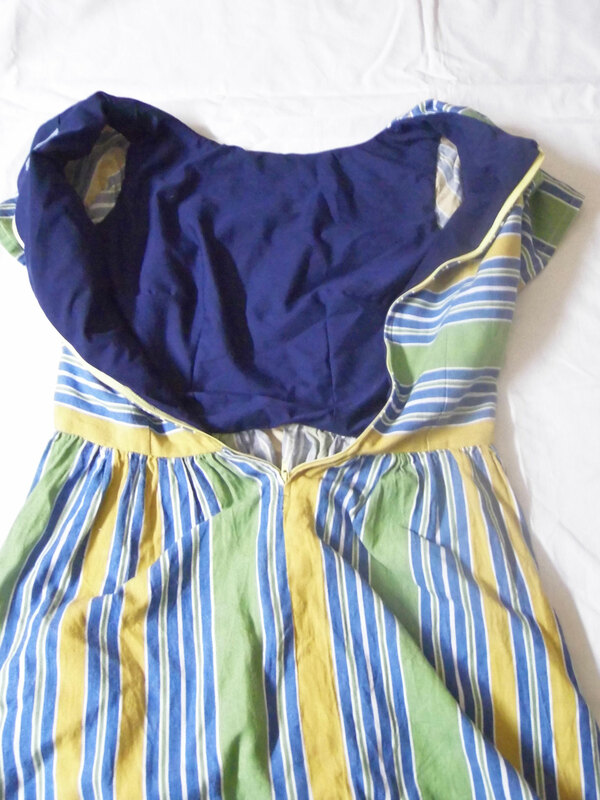 I did, however, take in the side seams a bit, by 2cm at the waist, tapering out at the armpit and hip. I wonder now what it would have looked like if I had hemmed it before making the fit alterations – it might have looked a bit over-sized, but in a good way. Oh well, I’ll learn for next time! 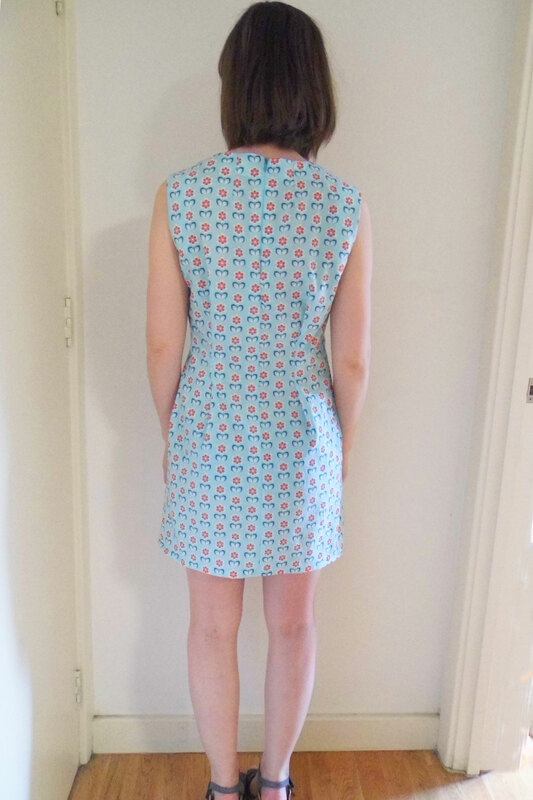 I cut another 10cm off the bottom and then did a hem of 1.5cm twice (total 3cm), which tells you how long the dress would have been if I hadn’t taken it up! 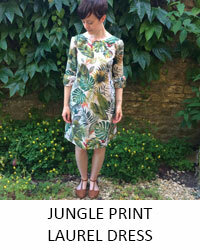 The dress was meant to have a 22in invisible zip, but I had this short one in my stash and knew from my 2 Laurel dresses, where I did the same thing, that I would be able to get in and out of the dress with a shorter zip – it just has to go over my head instead of being able to step into it! I’m pleased with how the facings turned out – it’s nice to work with a fabric that irons so nicely, so the facings stayed on the inside, without poking out – i did understitch them too. Then I slip-stitched them on the inside as it was kind of a pain in the arse having to tuck the facings in every time I put the dress on! I’ll leave you with this kind of goofy picture! (and yet again it’s blurry – I don’t know why, it’s so annoying! Any advice gratefully received. I’m thinking more light would help – so maybe I’ll move outside from now on!) 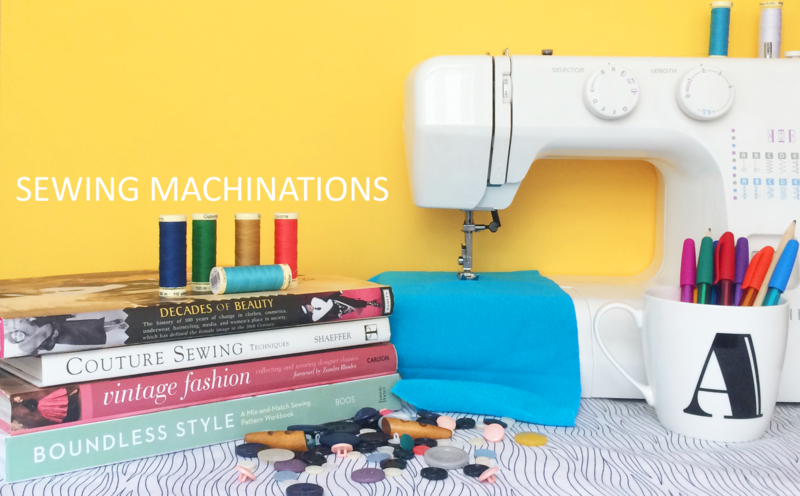 Did you join in with Spring for Cotton (and finish in time!)? 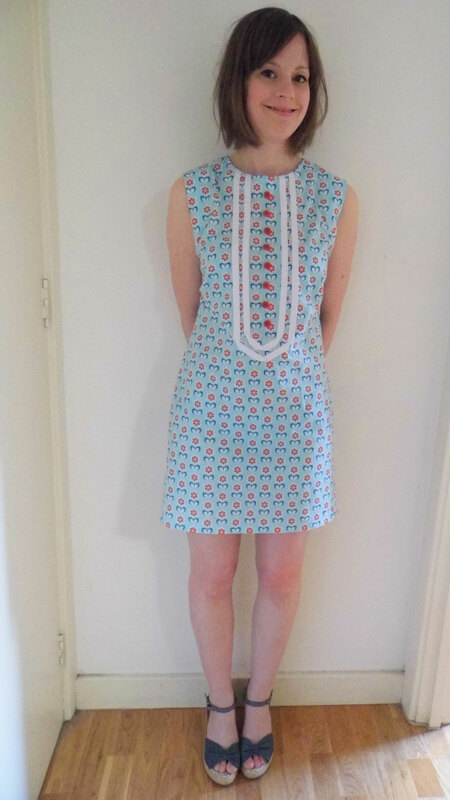 Have you sewn with a vintage pattern. I found it wasn’t as tricky as I feared, but I think that’s because my pattern was late enough to have all the same markings as modern patterns. 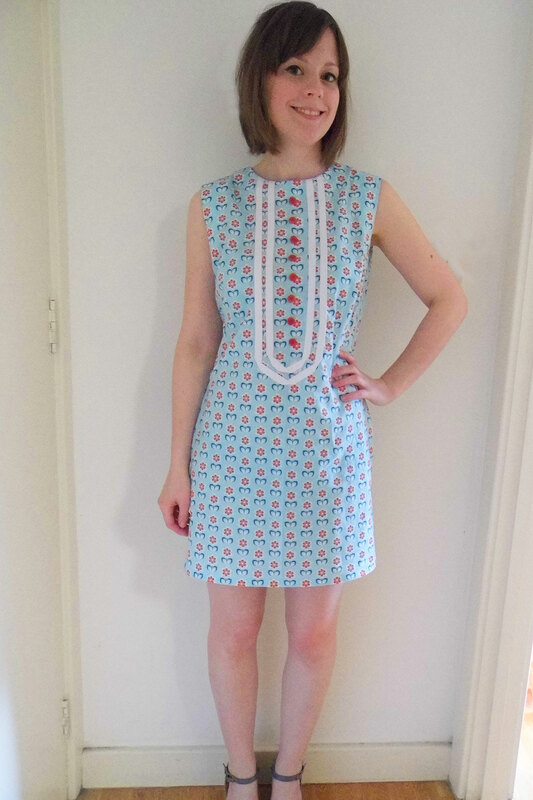 The other pattern I considered (above) is unmarked, and I might give that a go next time – I like the idea of a matching dress and coat!